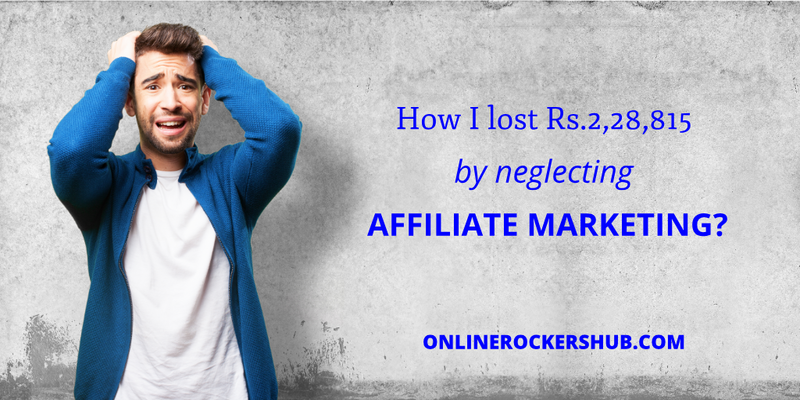 How I lost Rs.2,28,815 by neglecting Affiliate Marketing? It took 3 years for me to identify the biggest mistake that I ever did. Its choosing PTC sites over Affiliate marketing. If you are new to my blog, I will share with you my story on where it all started. Update: This article was originally published on June 4, 2018, and was last updated on February 28, 2019. How I came to know about PTC sites? Can websites bring you referrals? If I had chosen Affiliate Marketing? How much, I could have earned with SendInBlue Affiliate Program? If I had promoted a Recurring Affiliate Program? How much I could have earned with BeRush Affiliate Program? Right at the end of my higher secondary examination and when the summer vacation started, I thought of finding a part-time job, which I could do it at online itself. While keep on browsing, I came across this site called Neobux. It is a PTC site, where I clicked ads and just then I noticed my first ever income started rolling. The money just started to increase in terms of $0.001. It was less. But still, I couldn’t still control the joy, because I was earning something, which I had never done before. I wanted to multiply these earnings. So, I started to find many other similar sites and joined all those PTC sites. What was running through my mind? I thought, If I started to earn in multiple websites like this, soon I can buy an iPhone. It was actually iPhone 6, that I wanted to purchase. Because this was the one recently introduced in the market at that time. Even after joining many sites like this and clicking the ads on the entire site, I couldn’t even earn $1/day. So, I started to browse, how to earn more with these PTC sites. Only then, I came to know more about these referrals. Referrals are people, who join these PTC sites with your unique referral link. All those blogs that I read online, explained to me that, If I have a huge number of referrals, I can even earn $100/day. My greediness overshadowed my wisdom, and made me try this out! I started to promote these PTC sites everywhere like emails, traffic exchanges, landing pages and a few more. But, none of them gave me the referrals what I wanted. Every referral just joined those PTC sites and became inactive in one or two days. So, I browsed more and more and then I came to know that blogs and websites attract the most number of referrals. But, I don’t know how to create blogs. After watching some youtube tutorials, I first created a small subdomain at Weebly. It was an easy drag and drop builder and that’s how my first website/landing page was created. Everything went well, until one day, a Weebly staff, visited my Weebly subdomain and blocked it, claiming these MLM sites violate their policies. So, I had to look out for another platform like this, Because, I was very much impressed with the drag and drop builder Weebly. I went on with Wix. I created a subdomain there too. Later, I moved my website to WordPress, after I was stuck with an inspiration, ShoutMeLoud’s Harsh Agrawal. Even after this, I was still writing on PTC sites and making money online. I did come across Google Adsense and Affiliate Marketing, but I underestimated Affiliate Marketing at that initial stage. I guess, this eBook is still available for sale at Instamojo. 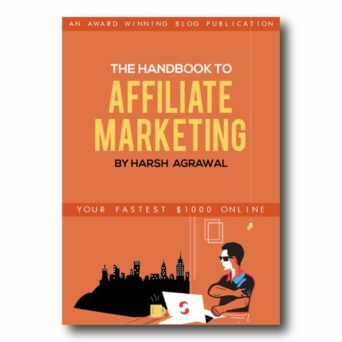 Also, check the contents of this affiliate marketing eBook here. So, I thought I should try this one too. I joined a few Affiliate Networks and some affiliate programs. But, I did not make any commissions for a long long time. If you are unaware of, What is Affiliate Marketing? Let me explain you in simple words. Affiliate marketing is referring your friends or readers to an eCommerce store. When your referral makes a purchase at that store, you will get some commissions for that purchase. But, before sending referrals, you need to join those sites as an affiliate. It took quite some time for me to understand in-depth about affiliate marketing. iPhone X has been released months ago, but still, my income from PTC sites is not sufficient to buy one. Out of the above-mentioned commissions, PifExplosion can never be withdrawn without buying any matrix position. And only Neobux total earnings can be calculated and not the ones made from individual referrals. So, by making 521 referrals in three years, I just earned $58.88 out of it. It’s not the result that I deserve for my hard work. Imagine a different situation, what if I had chosen Affiliate Marketing over PTC sites? As I mentioned above, Affiliate Marketing is where you get commissions, when your referred customer makes a purchase. But, every affiliate program need not work in the same way. Some affiliate programs, just want you to send leads to their store, where the customer creating a free account on their website is sufficient. You will be paid commissions for these free signups. These are called as CPA Affiliate Marketing. One such affiliate program, that pays you for sending leads is SendInBlue. 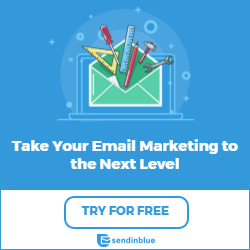 SendInBlue is an email marketing software, that allows you to send emails to your customers. It is actually free to join. With the free plan, you can store 2000 contacts and send 600 emails every day. Read my SendInBlue review here. Why should you join SendInBlue affiliate program? SendInBlue has its own affiliate program. When you join as an affiliate at SendInBlue, they will pay you €5 for every signup and €100 for every paying customer. I mentioned earlier, I made 521 referrals at PTC sites in these last 3 years. Sending referrals to PTC sites and sending leads to SendInBlue is not a big difference. They both need the same amount of content creation and promotion. What if I had sent these 521 referrals to SendInBlue? Yes, I could have earned €2605 in this last 3 years, If I sent these 521 referrals to SendInBlue rather than sending them to PTC sites. I did earn around ₹3941.58 out of those PTC sites, as I showed you in the above calculations. I could have earned ₹2,28,815 more if I had promoted SendInBlue rather than those PTC sites. 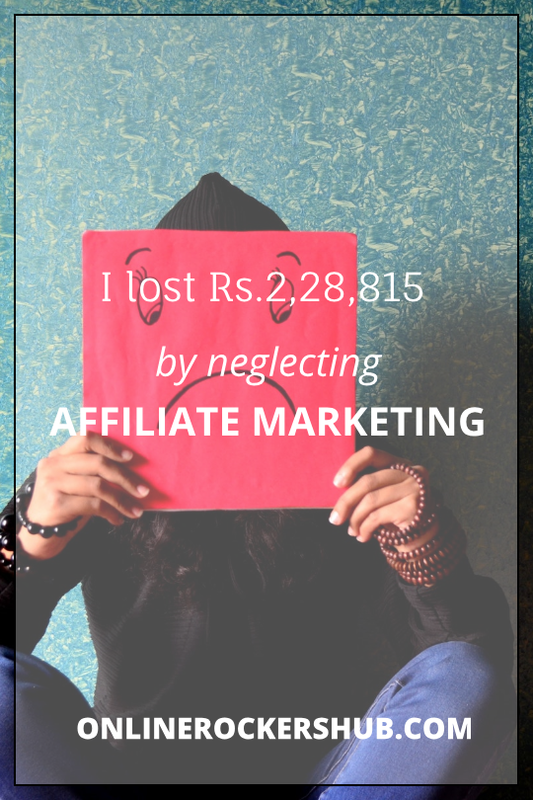 The sad end is that I lost ₹2,28,815 by promoting PTC sites and neglecting Affiliate Marketing. To note that, when you join SendInBlue as an affiliate, you will get €5 for every referral. But, it does not stop there. You will get €100 for every sale. So, earning chances are even higher. Let me explain to you with one more example of Affiliate Marketing. The former one was with CPA affiliate program. Now, I will go on with recurring Affiliate Program. What are recurring Affiliate Programs? Recurring Affiliate Programs come into picture when you are dealing with memberships. When you refer your friend to purchase a membership using your affiliate link, you will get a commission for the first purchase. But, this will not stop right there! The recurring affiliate programs will pay you a commission once again when your friend renews his membership. This goes on for a lifetime! One such recurring affiliate program is BeRush Affiliate Program. BeRush is the affiliate program of SEMRush. SEMRush is a popular Search Engine Optimization ToolKit for websites. It has got a lot of tools to help you with optimizing On-Page and Off-Page SEO of your website. Thereby, it helps you boost the rankings of your website in search engine and helps you get more traffic. The big deal is, being an essential tool for online marketers it offers recurring commissions. So, once you refer a professional online marketer to SEMRush, he is gonna renew his SEMRush membership for many years. And for all these years, you will earn commissions without any extra work. What if I had sent these 521 referrals to SEMRush? The PTC sites were free to join. So, sending 521 referrals were easier. But SEMRush is a paid toolkit. So, let me consider only 10% of 521 referrals i.e. 52 would have signed up for SEMRush trial. And 10% of 52 referrals i.e. 5 referrals would have upgraded their account. I was using PTC sites for 3 years (i.e. 36 months). Let me consider an average of 18 months. So, the total sale amount would be $8995.5 ($99.95 x 5 referrals x 18 months). BeRush pays 40% of the sale amount as commission. So, I would have earned $3598.2 (40% of $8995.5). This is still higher than the CPA Affiliate Marketing and I could say confidently that I would have earned even more commissions without any extra effort. I could have earned ₹2,37,389.7 more if I had promoted SEMRush rather than those PTC sites in the last 3 years. What could I have done with this money? With this money, I could have paid my college fees. With this money, I could have developed my blog and hired some people. And why not, I could have just put them on Fixed Deposit and saved them for my future. It’s my mistake of being careless! So, I request you not to do the same mistake that I did. I request you, not to waste your precious time with PTC sites, traffic exchanges, and other scam sites. Instead, try Affiliate Marketing. Say NO to PTC Sites and Scam Sites! Say YES to Affiliate Marketing! If you wish to spread awareness, pin it. Affiliate Mareketing is actually one of the highest paying method and converts well if you’ve a targeted traffic. If you had sent 500+ leads on their way, you could have been able to negotiate a higher price. Good that you realized your mistake and hopefully you’ll earn even more. Keep sharing such personal posts. I was shocked when I made a random check of my earnings and found this. But, it took 3 years for me to realize this mistake. And sure, I will keep sharing many personal posts like this. Affiliate marketing is the best ever method for earning from internet, I was very happy when I got my first ever online income from Affiliate Marketing. I had also tried PTC Sites but nothing worked for me. Now, I am focusing Affiliate Marketing than adsense… And getting some payments after a few months of period. It’s great to hear Ravi, that you are getting some payments regularly with affiliate marketing. Hello, are you looking to earn extra cash? Earn money by paid surveys and etc. I recommend Clixsense. Hello Janosh, I am not recommending Clixsense anymore. I have been using Clixsense for the last 3 years and haven’t earned anything big. Instead, try affiliate marketing. If you are a beginner and belong to India start with Cuelinks. If you belong to any other country, join Skimlinks. Your blog post looks great. Affiliate Marketing is better than any other methods to earn money on the Internet. We need to concentrate only on fewer affiliate products(only on niche based) to become successful. Apart from this, selling our own products and services are the great ideas to become rich in our life. Yes, Balachandar. Affiliate Marketing is better than any other money making methods. And yes, selling our own products and services is also a good idea to earn money. However, creating product or offering service is not so easy when compared to Affiliate Marketing. The success of product or service is based on our marketing and customer service. Right now, I don’t have the financial backup to hire bloggers and support members. Once, I reach a good financial situation, I will focus on product creation and service. Yes, Vikas, you said it right. Adsense and Affiliate Marketing are the two most powerful tools to earn millions every month. But, Adsense will require a lot of traffic to generate income. Getting high traffic to your website is not an easy task. On the other hand, even with very low volume targetted traffic, we can generate a recurring monthly income with Affiliate Marketing. Anyway, both these methods are powerful and legit ways to earn online. They are thousand times better than these PTC sites. Lol! You had a great escape to moving out of PTC sites in 2 days. And, thank you are being interested in Signing up SendInBlue with my link. Thanks a lot for the information Nirmal, I just signed up through your affiliate link. Thank you so much, Ige Lewis. Wishing you all success with Affiliate Marketing ? Hi, have you ever received payout from them, if yes when do they pay? Earn from these sendinblue affiliate program just for free user refer they will pay $5 for affiliate program signup or normal customer sendinblue.com account signup. so let me know which one offer link have to promote to earn $5. Hello Siddarth, I will explain this. What if you choose the promotion link under SendInBlue Affiliate Program: Multi-Level Marketing? People refer using this Multi-Level Marketing link are called as Sub-affiliates. When your sub-affiliate refers anyone with promotion link under Assets, the sub-affiliate will receive €5 and you will receive a 5% percent commission for his performance. Please also make a post when you cash out how much you make till date. Sure Siddarth, I will definitely post an article with my Payment Proof. thank you for your nice article. i have earned 600+ eur with sendinblue affiliate but i don’t understand how can received payment to them?? i am from Bangladesh and paypal is not legal to here. at this moment can i use payoneer global payment service –EUR Receiving Account info Like IBAN and BIC to receive payment to them?? Yes, Anjan. It is possible to receive money using Payoneer. I understand your situation that Paypal is not allowed in Bangladesh. In this case, you can create a Paypal account and add your Payoneer account details for Bank details in Paypal. So, now when you receive any payment at Paypal, you will receive to your Payoneer account. You can further withdraw the amount from Payoneer to your local bank account.